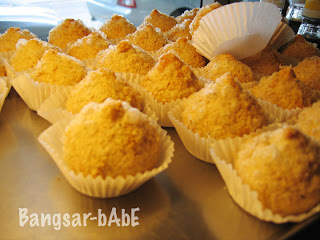 After our lunch at Haeun Khon, I suddenly had this craving for durian puffs. Went to Sri Karak nearby as rif has been telling me about their durian bomb. I though the durian tarts were mediocre. It was not as I had expected. The durian filling was a bit hard and I found the pastry case soggy. 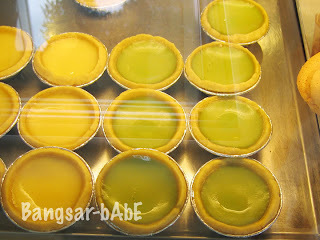 The pandan tart was different. 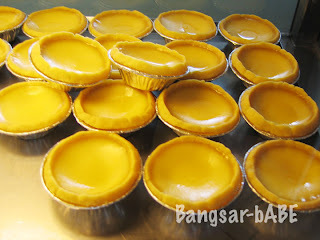 A nice change should you get sick of the usual egg tarts. It’s less eggy and has an enticing pandan aroma. 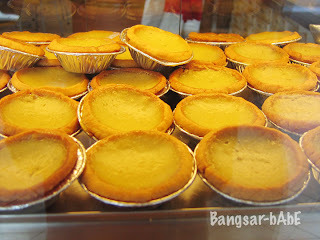 You wouldn’t feel so ‘jelak’ after wolfing down 2 or 3 of these. There were quite a number of people having their lunch there. I was too full to try any but the dishes looked delicious. Must make it a point to try their food the next time around. Verdict: Go for the durian bomb and the egg tarts.